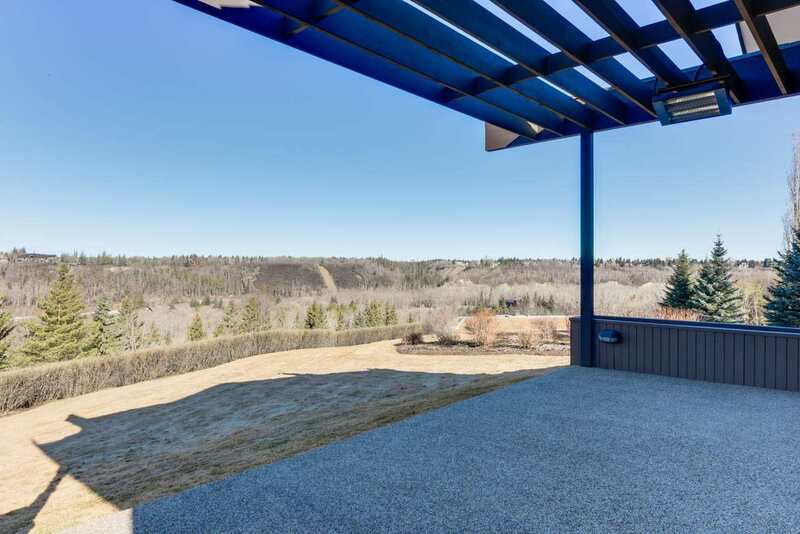 This spectacular gated Estate with expansive unobstructed views of Edmontonâ€™s river valley is a one-of-a-kind architectural masterpiece. 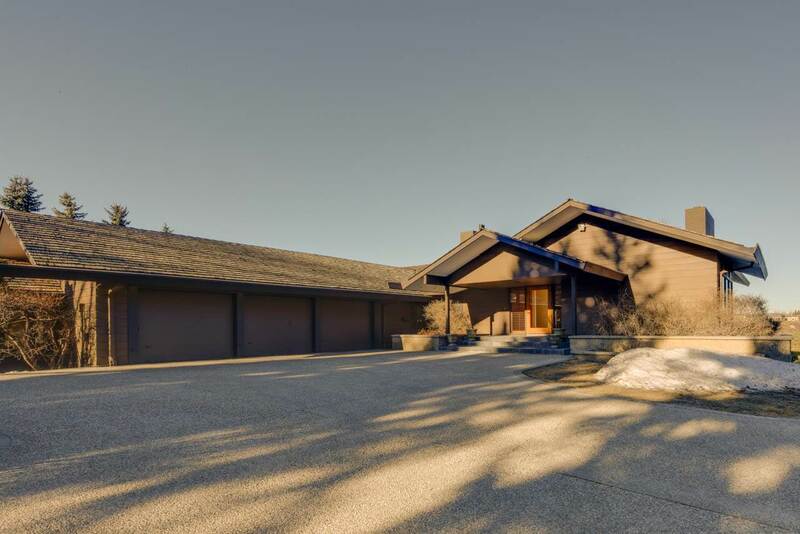 Custom designed for the landscape of its 2.33 acres of exceptionally private land, it takes full advantage of the natural topography while maintaining stunning views. 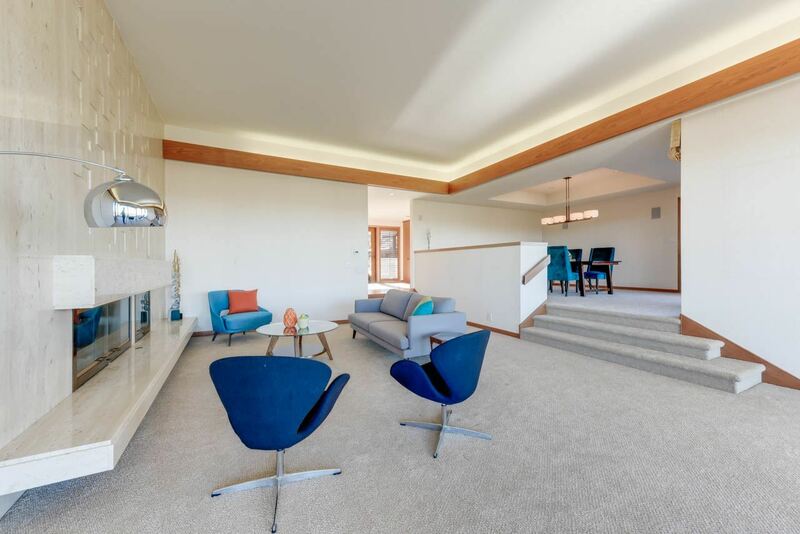 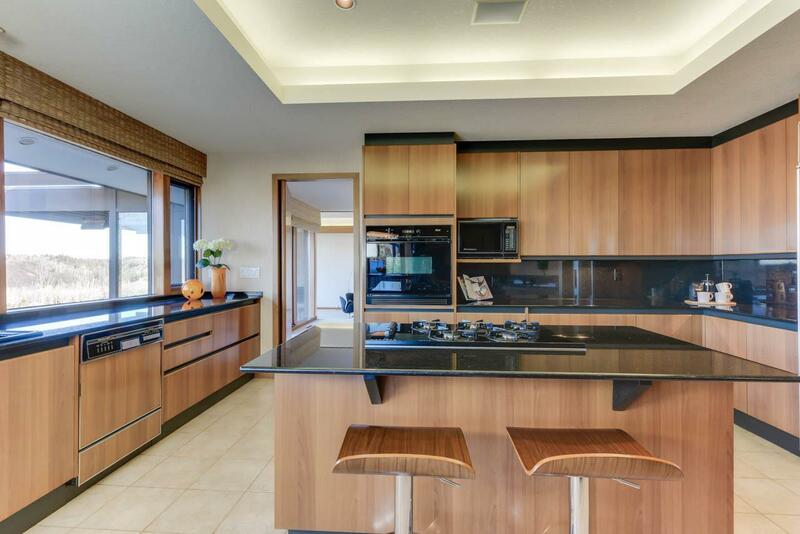 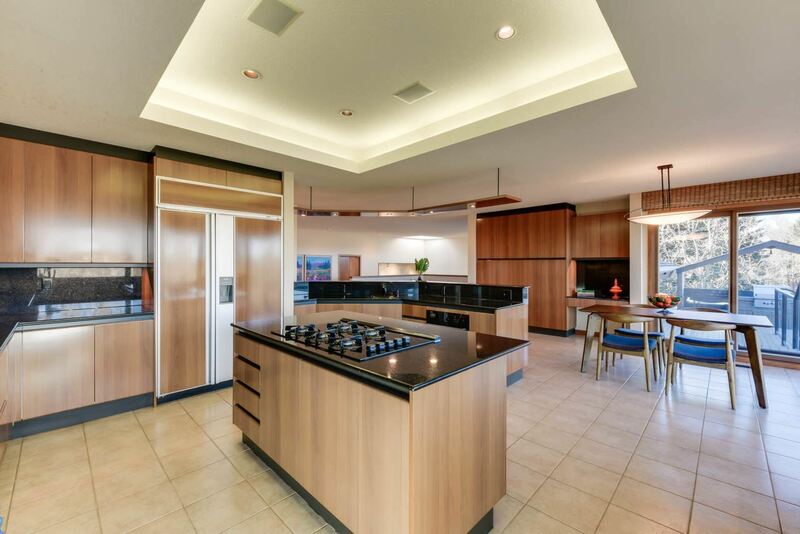 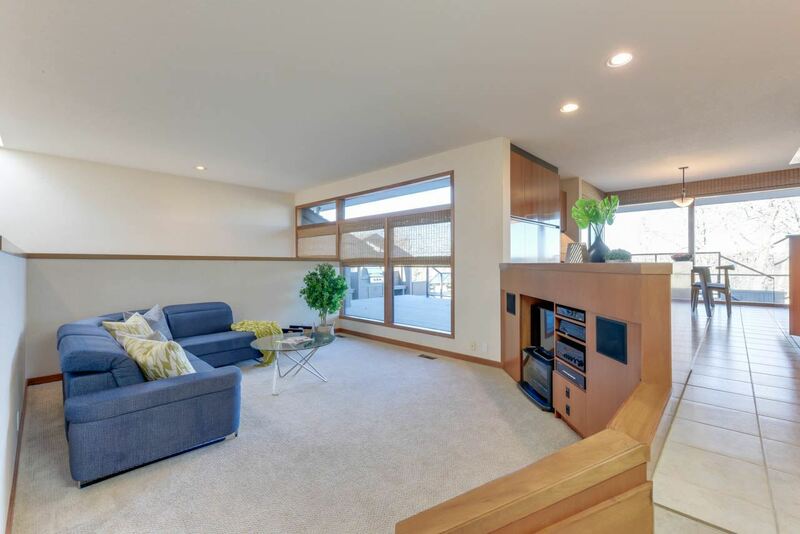 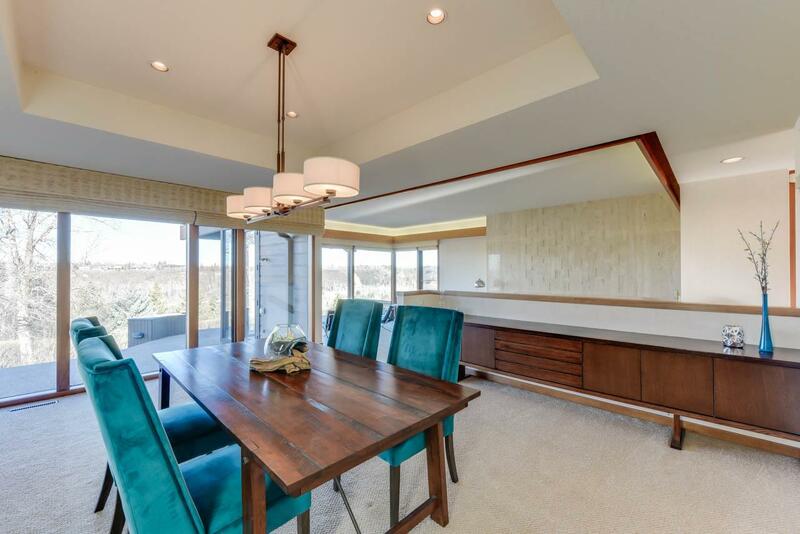 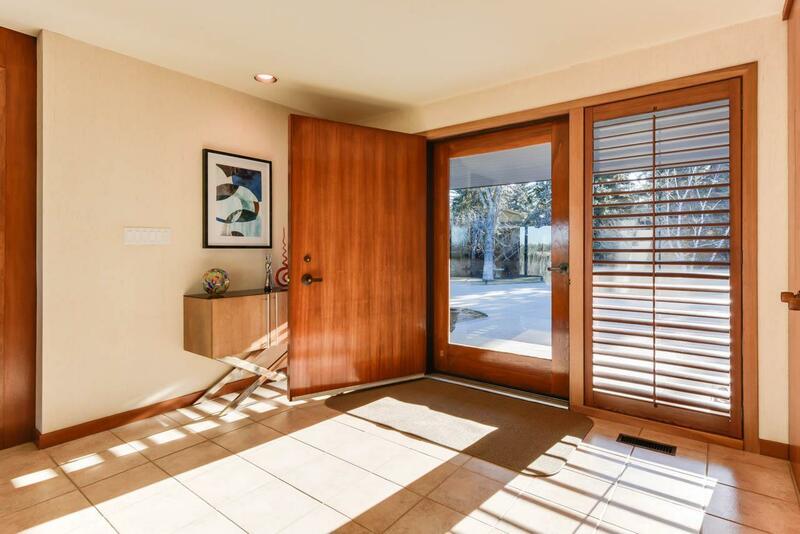 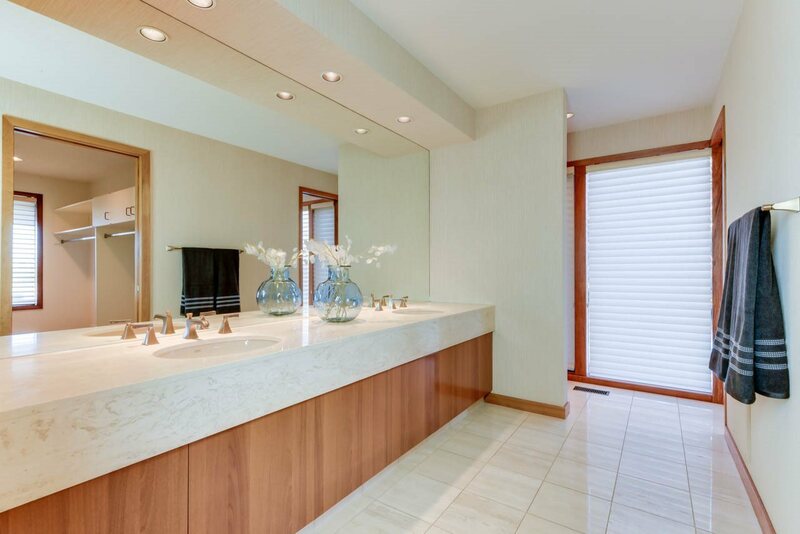 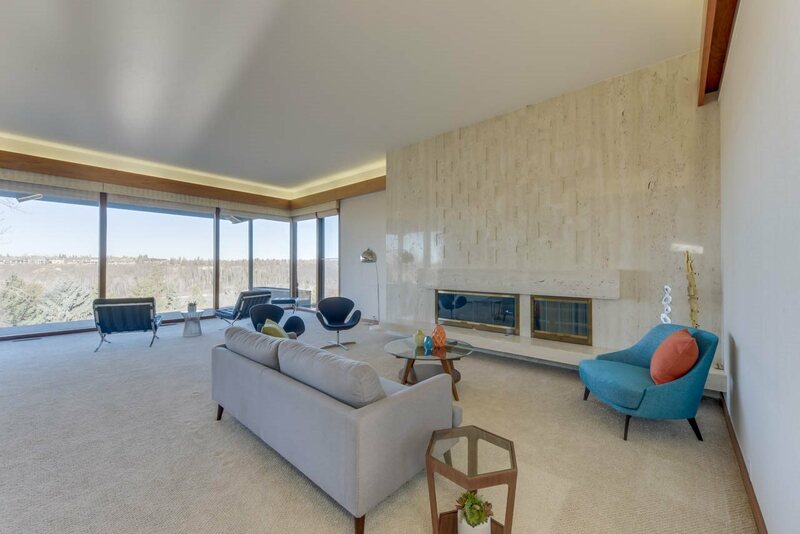 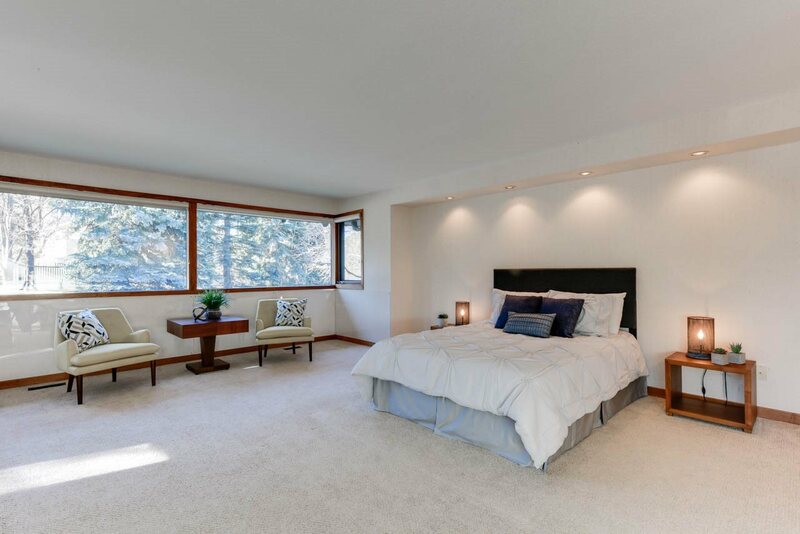 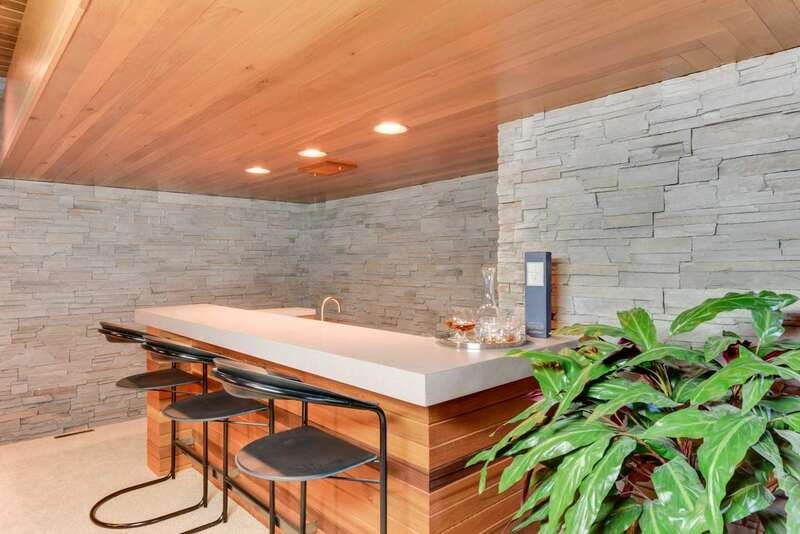 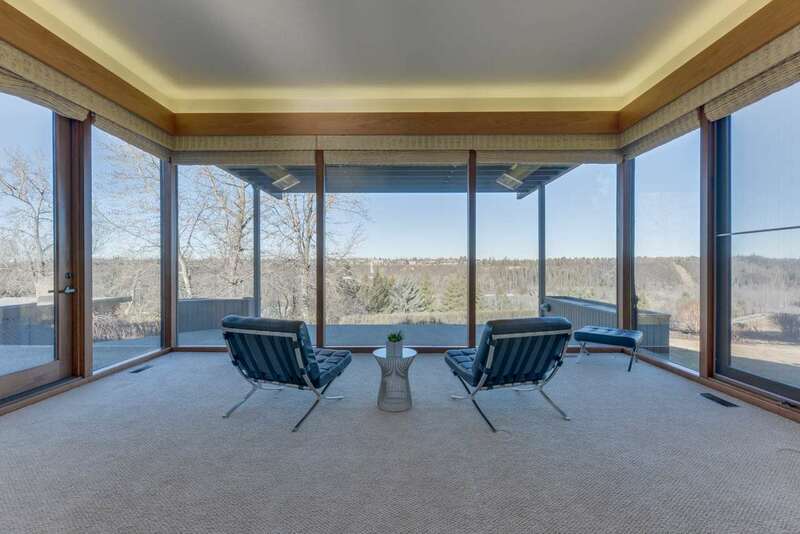 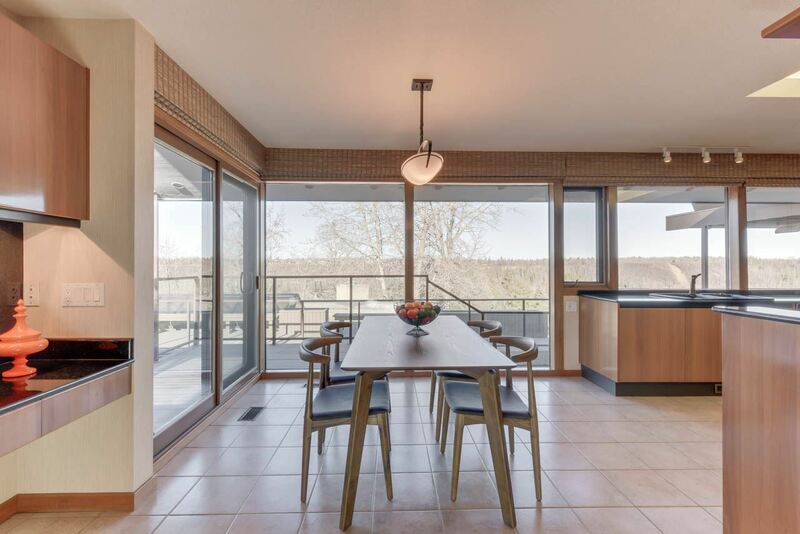 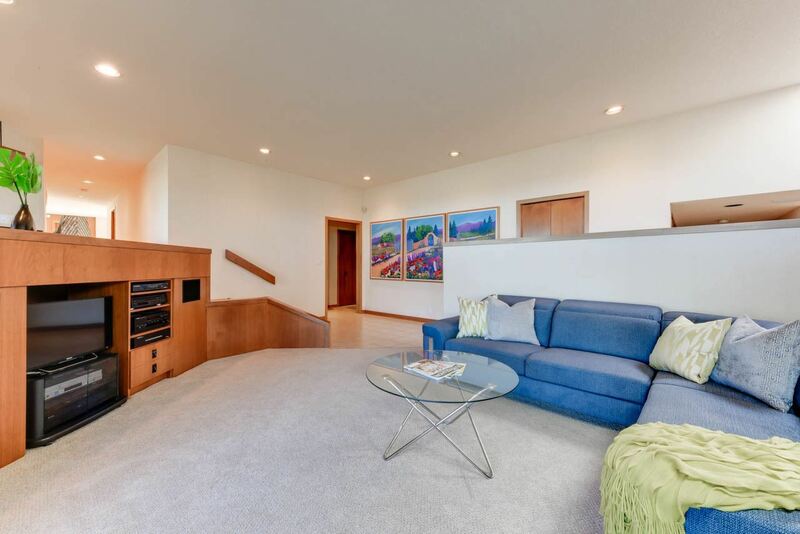 Immaculately maintained and with on-point updates, this mid-century modern home offers a timeless layout perfect for entertaining and unparalleled views from floor-to-ceiling windows. 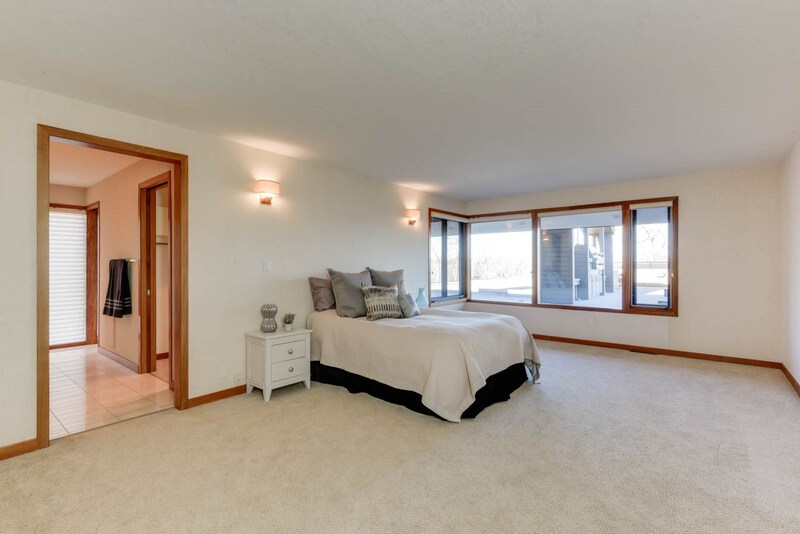 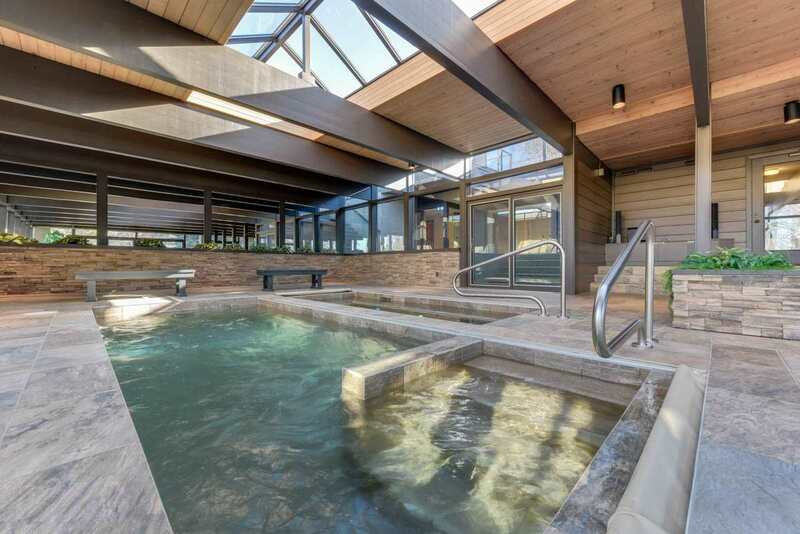 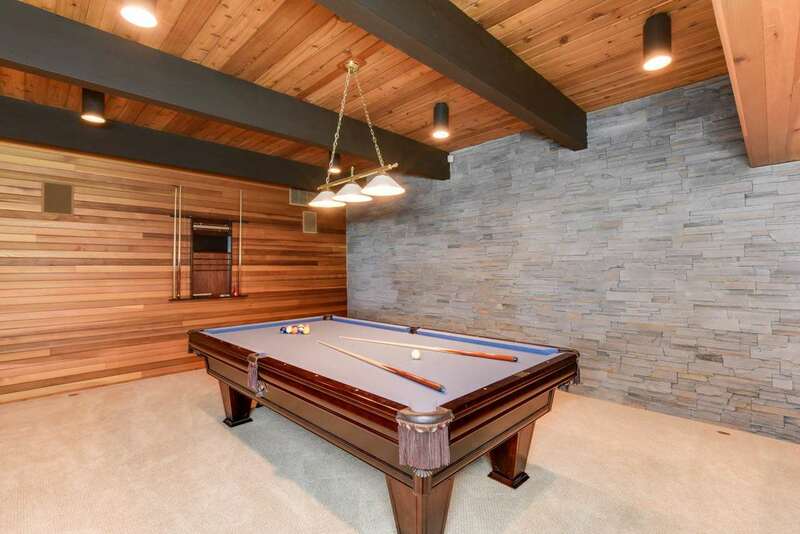 There is ample space to live and entertain with 8871 square feet of living space, including an indoor Lap Pool and hot tub. 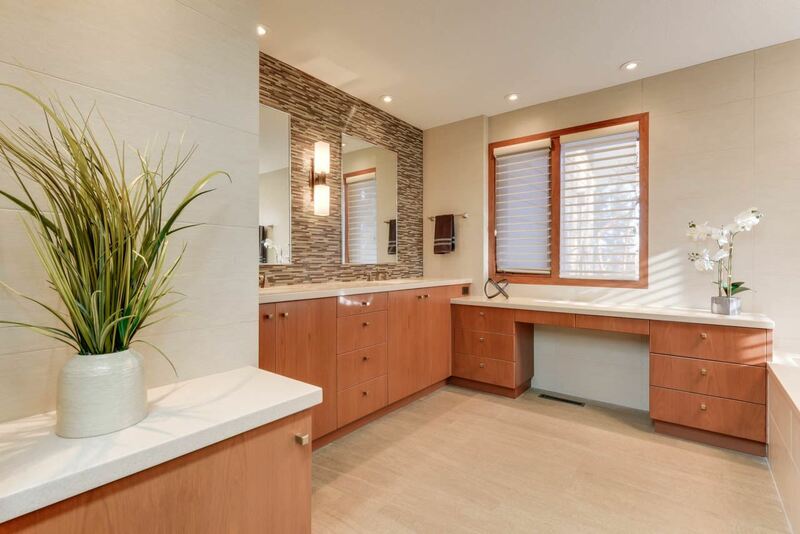 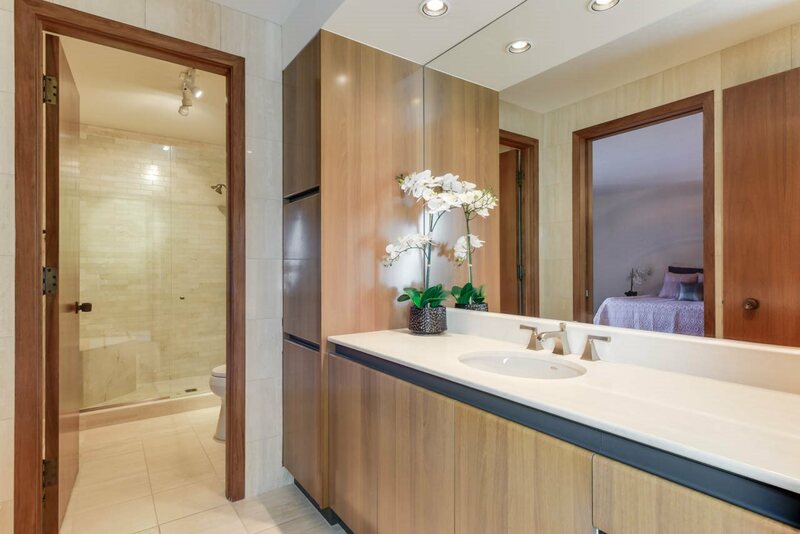 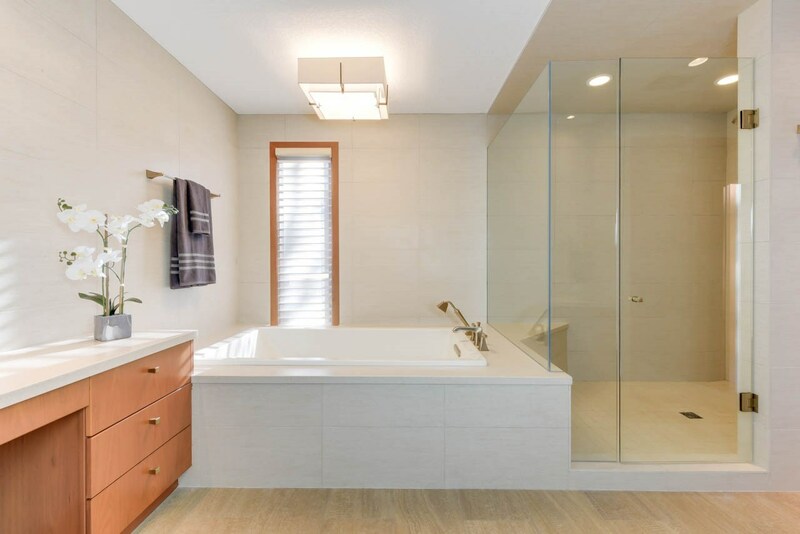 Each of the 4 bedrooms come complete with elegantly modernized ensuites. 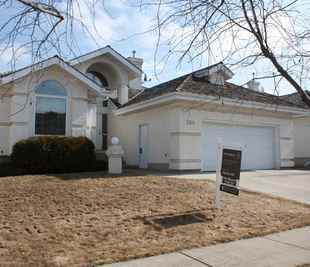 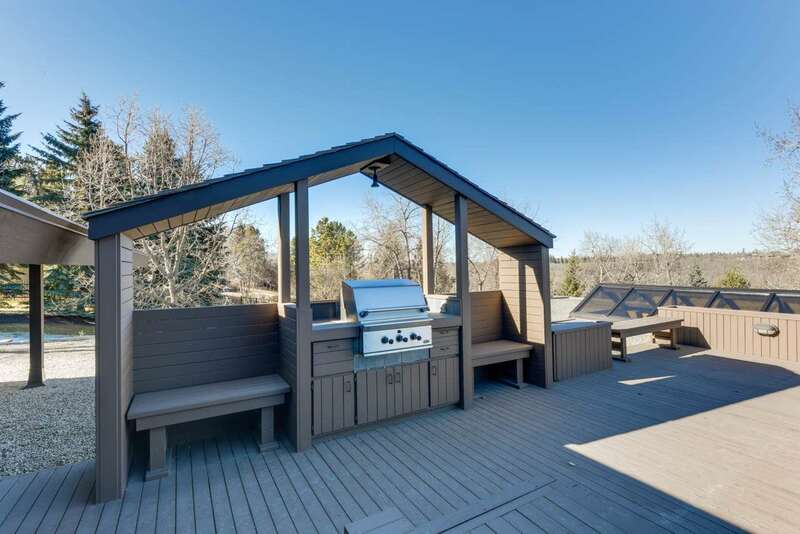 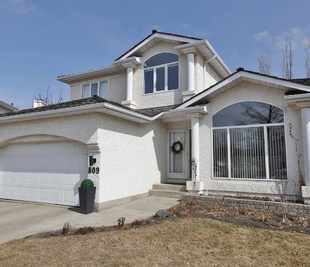 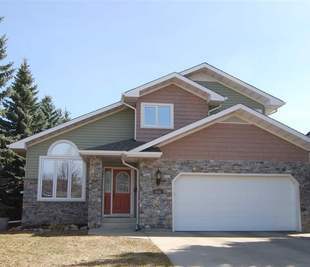 Enjoy multiple expansive patios, one with built in BBQ, another with patio heat, and a third sheltered by the home. 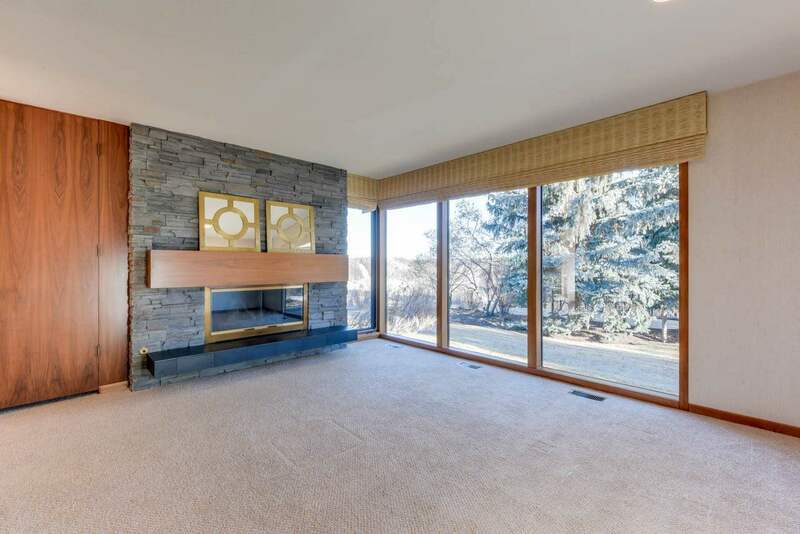 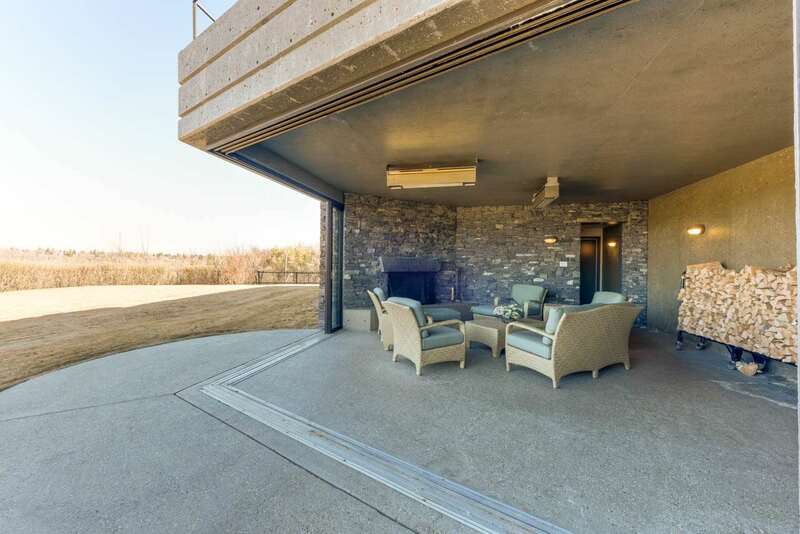 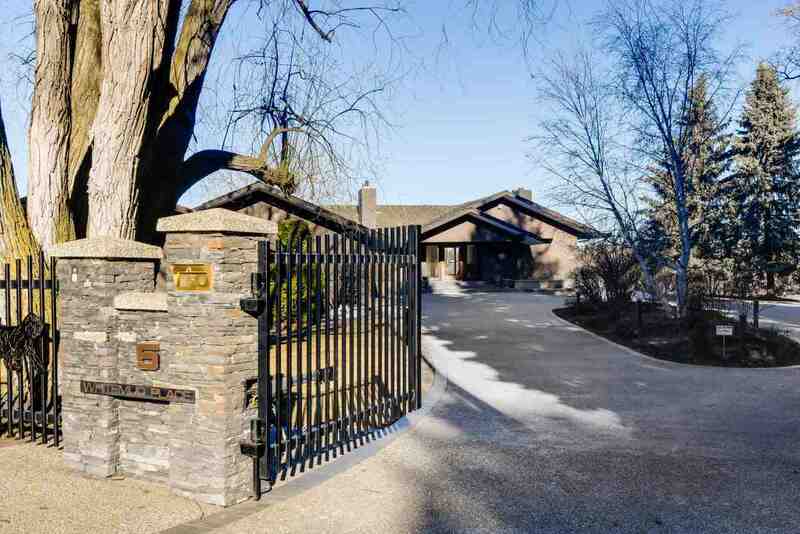 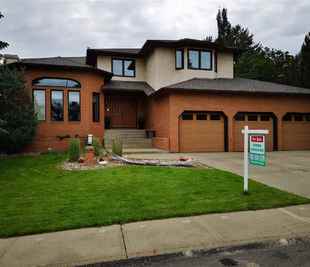 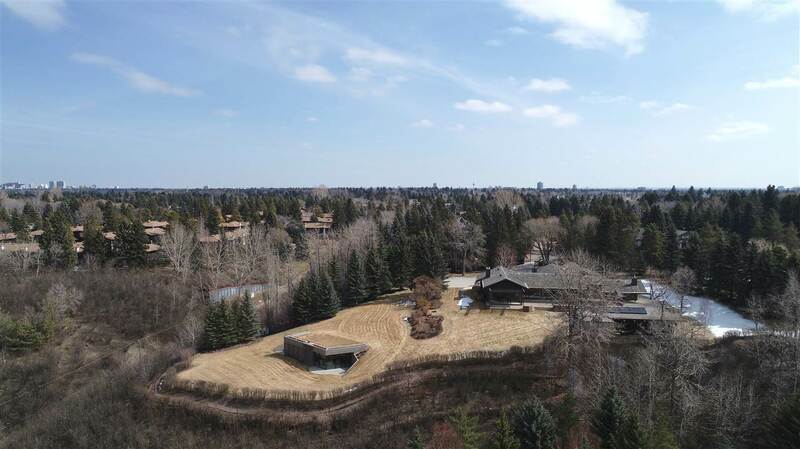 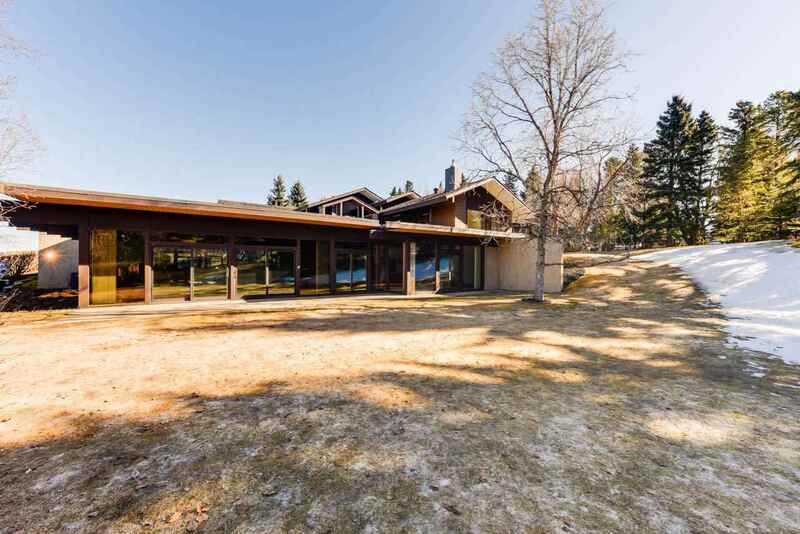 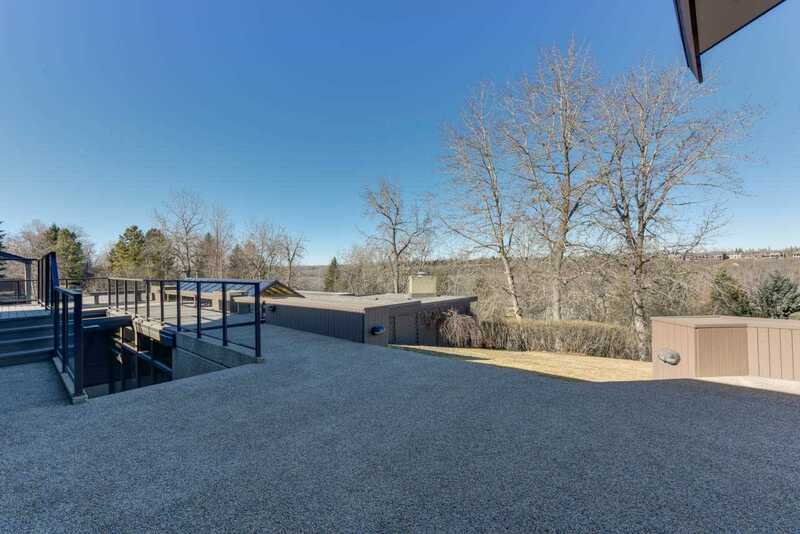 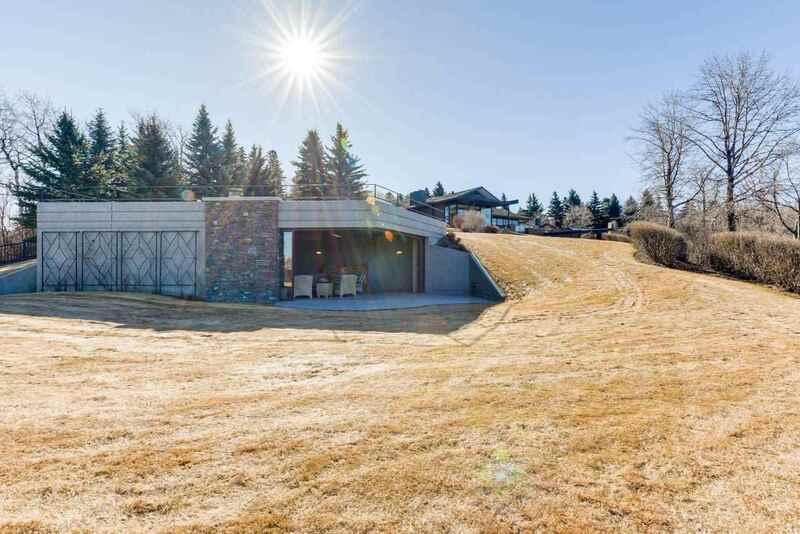 Nestled down the hill is "Del's Bunker", an out building with additional storage and patio area with a wood burning fireplace and floor to ceiling glass doors that open to the river valley. 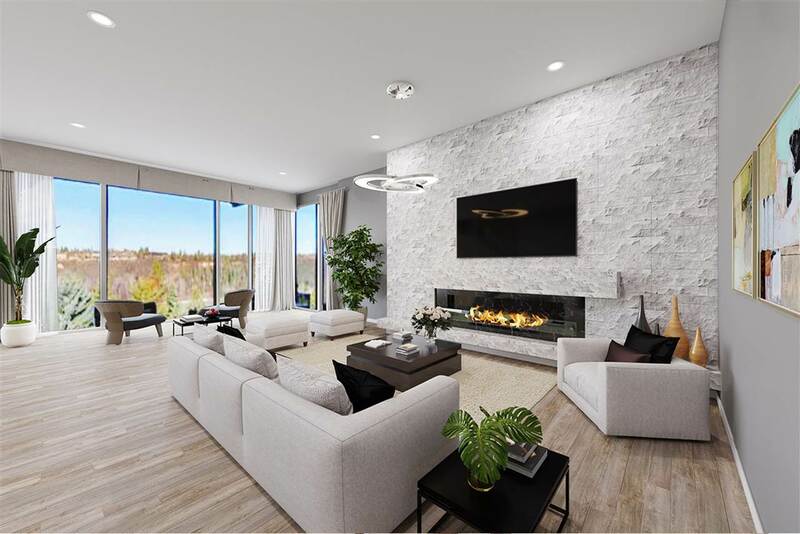 It is truly exceptional!